We’ve seen the teaser images. We’ve seen the concept art. 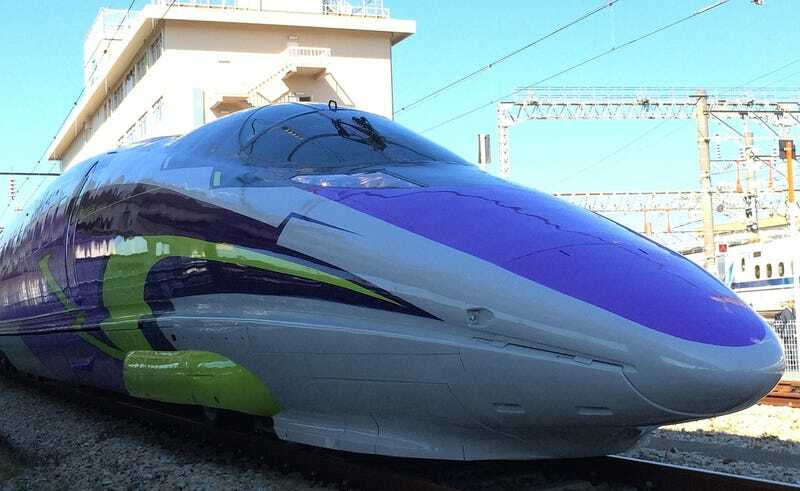 But nothing, I repeat nothing, can prepare you for seeing an actual Neon Genesis Evangelion bullet train. The bullet train won’t be in service until next month in Japan, but today, it was shown off to the Japanese press, and Tokyo Keizai, Inside Games, Tetsudo Shimbun and Traffic News were on hand to check the train out. These are the smoking rooms.